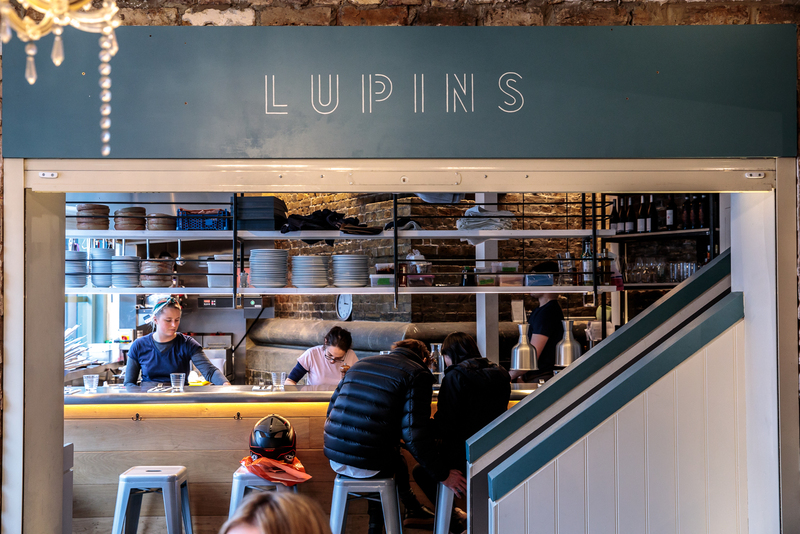 A tenuous school connection to one of Lupins’ two chefs pushed the restaurant towards the top of my ever-growing wishlist, but before you accuse me of bias, read these two reviews from Giles Coren and Marina O’Loughlin. Finished? Good. Although now I can’t plagiarise as much as I usually do – rats. Anyway – Lucy Pedder and Natasha Cooke, who met in the kitchens of Medlar in Chelsea, run the show at this colourful spot in Borough’s Flat Iron Square. 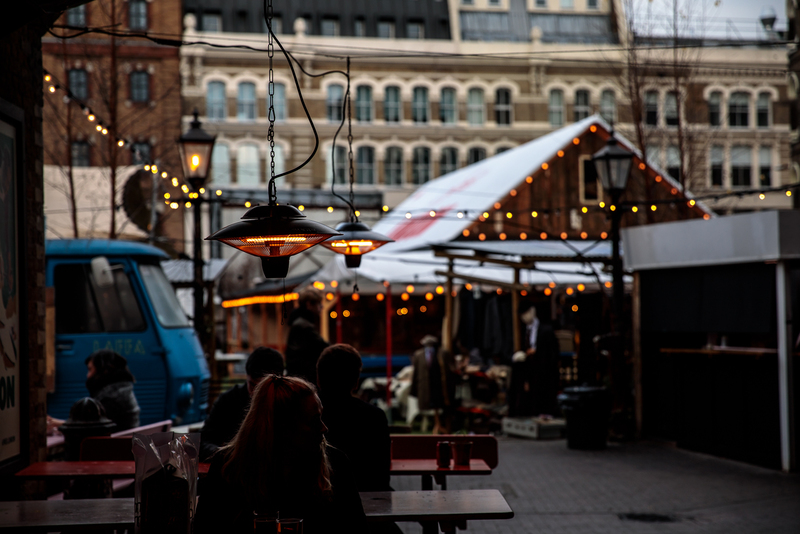 Their seasonal menu reads like a dream – Cornish crab thermidor, burrata with truffle vinaigrette, red mullet ceviche with blood orange, roasted cauliflower with paprika etc. – and those are the dishes we didn’t order. Instead, we kicked off with a generous helping of sourdough from the neighbouring Burnt Lemon bakery, and moreish mushroom and gorgonzola croquettes. As Mr.Coren points out, unlike many “small plates” joints, the dishes arrive one-by-one in a sensible order at a well-judged pace. Crispy squid with samphire pakora and a subtle green chilli sauce came next, shortly followed by a bowl of trofie – a thin Ligurian pasta akin to gnocchi. Here it was served with wild mushrooms and red chilli, again employed more for flavour than heat. Padella and Pastaio wouldn’t hesitate to put it on their menus. The hits kept coming. Roast hake with nduja risotto, aioli and shaved coolea (not as rude as it sounds) was a warm, comforting delight, and onglet with puntarelle and anchovy salad was expertly cooked and smartly balanced (and I’m an anchovy-abstainer). To finish, a blackberry trifle kept Dad happy, but wasn’t really my thing (i.e. not enough booze), whilst an enormous, decadent dark chocolate mousse with sesame and salted caramel left me defeated. 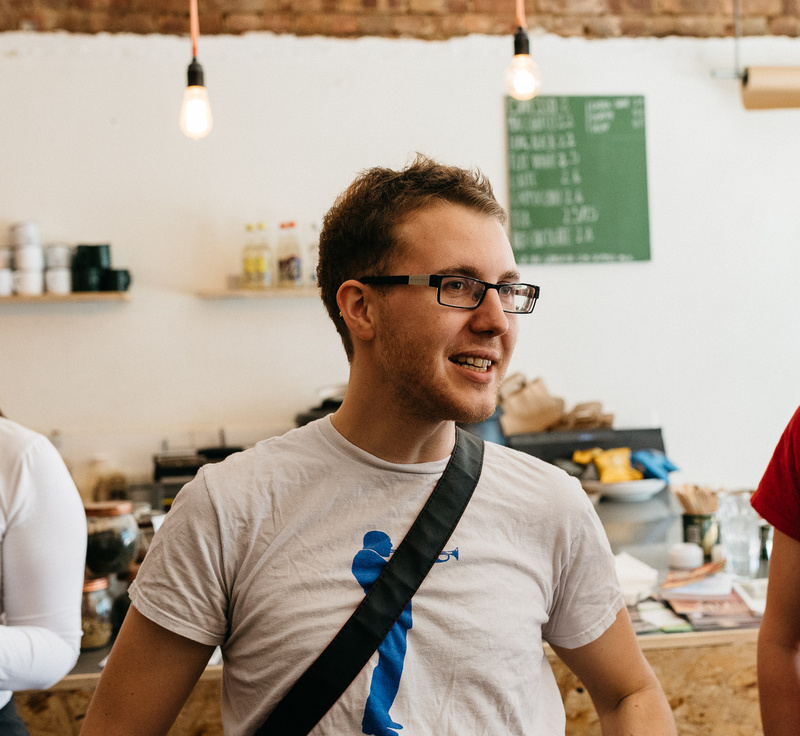 To be honest, all I ever want is a slice of treacle tart – who’s got one for me? All in all, our lunch at Lupins was rather lovely. It’s a great calling card for Flat Iron Square, and a hugely impressive duet debut from Lucy and Natasha. I would happily order it all again, but I could also choose another six dishes safe in the knowledge that beautiful food would appear before me. I suggest you go and pay them a visit, though check ahead for the latest opening times online.